Stagione 3. Puntata 18. 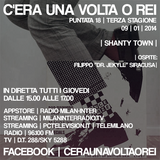 "Shanty Town", con Filippo "Dr. Jekyll" Siracusa.